We Buy Condos In Myrtle Beach… Any Condition. Any Price Range. 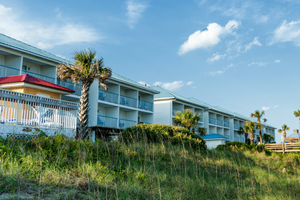 If you want to sell your Myrtle Beach condo in a hurry then we’re here to help: we make fair cash offers to buy condos in any condition, fast. 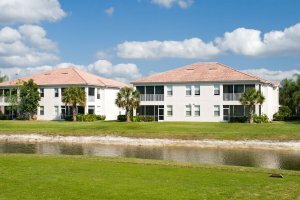 Owning a condo can be a costly burden. And it can be an even greater problem if you’re going through a challenging circumstances like foreclosure, divorce, liens, probate, etc. That’s where we come in: we are a team of professional house-buyers specializing in Myrtle Beach South Carolina and all surrounding areas and we’ll pay you cash to buy your condo fast. Curious about how much we’ll offer for YOUR house? We’ll give you a no obligation offer for your condo (and we can close quickly if you want to sell right away). Looking To Sell Your Condo in Myrtle Beach? Maybe you’ve talked to an agent already, or maybe one has tried to sell your condo but hasn’t been able to. … Sometimes an agent thinks they can sell a condo but they can’t find a buyer. … Sometimes selling your property through an agent can take months (most take an average of 3-6 months to sell). Fortunately, there’s a different way to sell your Myrtle Beach condo — and it’s FAST. At Myrtle Beach Home Buyers, we buy condos directly from sellers so you can skip the agent-listing process and let us buy your property from you directly. We buy condos in ANY condition. We have the funds available to buy your condo right away, so there’s no waiting — we can even buy in as little as 5 days. No matter what situation you’re facing, we at Myrtle Beach Home Buyers are ready to help you! We buy condos in Myrtle Beach and all surrounding South Carolina areas. We buy properties fast, in any condition or situation, and we have the funds available to buy your condo from you right away. So, if you want to put money in your pocket and walk away from that unwanted property, we are ready to help you with our “Sell My Condo Fast Myrtle Beach” Service.